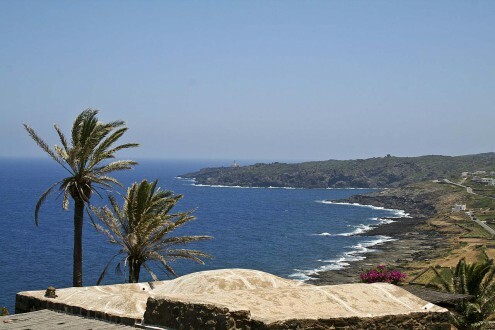 Free from rules and fixed days, we think the best way to start a holiday in Pantelleria is coming when is more convenient for you and above all saving a bit of pennies. Flights from Bergamo Orio al Serio airport and from Venice Marco Polo airport are departing on Sundays and Wednesdays. From Rome Fiumicino Airport and Milan Malpensa Airport flights depart on Mondays, Wednesdays and Fridays. And we would also like to point out that from Palermo and Trapani, Alitalia Airline offers at least two flights daily to Pantelleria … ok, the direct flight is faster, but the holiday starts as soon as you close the door and go to the airport! What most attracts, in addition to avoiding the annoying crowds of the weekend,is that air fares are very affordable. If you’re quick with you can buy a RT ticket with just € 100 … Then choose one of our dammusi and you’re done! Come then, it’s Monday or Wednesday, let us be free in the weekend and so there we go for a swim all! PS: more infos on how to get here, can be found here.